How do I install a fence or patio? How do I open a business in Morrow? Regular Office Hours: Monday - Friday, 8:00 a.m. to 5:00 p.m. 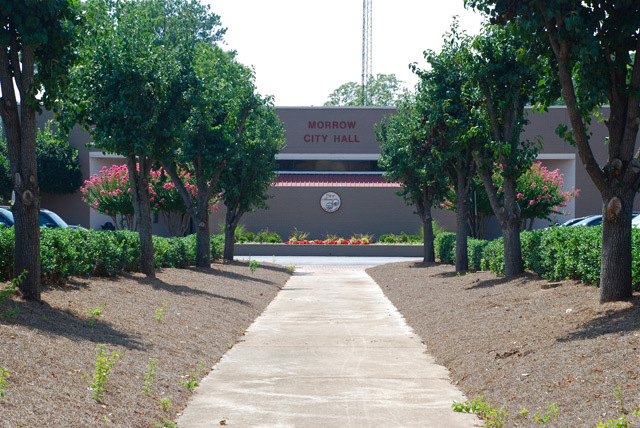 Permit forms can be mailed, emailed or delivered in person to the Planning & Economic Development Department at Morrow City Hall. A copy of the license issued from the State Construction Industry Licensing Board and Drivers License are required for all trades. A copy of a current Occupational License from a municipality or county within the State of Georgia is required for the issuance of all permits. Emailed fee payment may be made by using the Credit Card Payment Authorization Form. All construction dumpsters needed for renovations, redevelopment, and other similar jobs must be obtained through the City's Sanitation Department by calling (770) 960-3000, PRIOR to the start of a job. 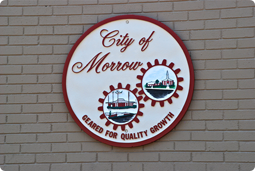 Please visit www.municode.com for Morrow Zoning and Redevelopment requirements, as well as the City of Morrow's Codes of Ordinances.